It’s that time again! Now I’ve finalised Hot Picks 2015, which will be published here on Friday 12 December, I’ve finally had a chance to look back on my 2014 reading. This is only the third year I’ve kept a record: in both 2012 and 2013 I managed 68 books but this year, somehow, I’ve read 89 – quite a jump. A few have been very short but there’ve been at least as many doorstops. Can’t quite account for it. I do feel this has been a better year for fiction releases, or at least books I’ve really enjoyed despite being in very critical mode for much of the time. I’ve abandoned far more books than usual. But the fact that so many were excellent makes today’s task very difficult. Every single book that’s appeared on the Literary Sofa, whether in a post, in my Hot Picks 2014 or Summer Reads 2014, is one I would recommend. So what’s so special about these six? They’re the ones which got to me the most. For once, I’ve actually succeeded in featuring all my top books on the blog in either guest posts or full reviews – see links – so this is a more personal view. I bet this will be topping many a list given its huge success but I had a strong suspicion back in early summer that this was going to be my best novel of 2014. It was a surprise as I didn’t think I liked dystopian fiction. 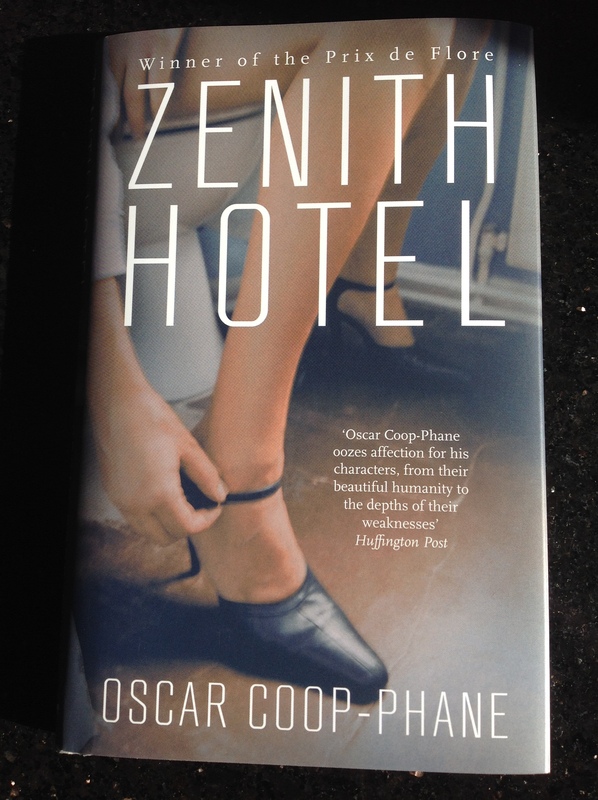 Everything about it wowed me: the richness of the world the author creates, the gorgeous writing, the ambitious structure. But above all, it moved me, which is the highest compliment I can give any piece of writing. Gets my vote for most beautiful cover, too! It’s such a huge pleasure and relief when the critical radar can be disengaged and that’s not something I can control (I wish). 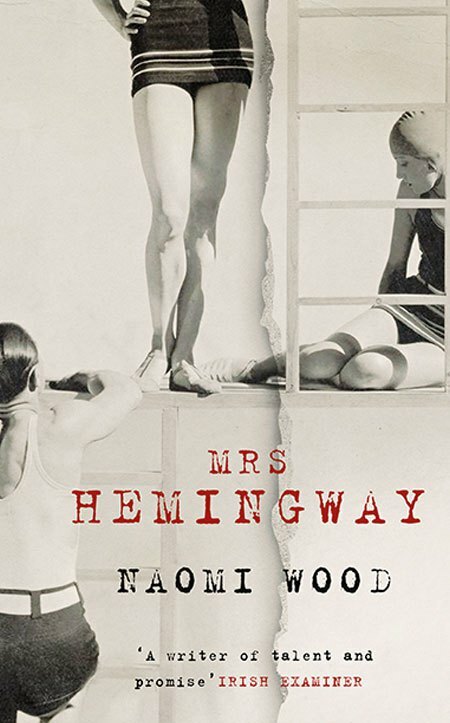 I simply loved everything about Mrs Hemingway : the glamour, the literary setting, the fabulous sense of not just one place, but several. The same is true of voice and character – each of the four women who married Hemingway really came alive in all her passion and heartache. I love stories about complicated lives! Another book with a following and one of two little gems in my top six which belie their size. I practically inhaled this tiny fragmented volume which deals with some of the themes that most interest me as a reader and writer: relationships, parenting, family, inner life. This is raw, unflinching, even funny in places. I feel changed by reading this book – it reminded me that to write well you have to be brave. Tell the truth, however much it hurts. Literary taste is very individual and I find a lot of popular books a bit sugary. Give me dark and gritty any day, bleak even, but with a few cracks of light. This brief tale of a day in the life of a Paris prostitute and some of her clients is a brilliant example of something else I appreciate, beauty in ugliness. Nanou got under my skin as I did hers (not a nice place to be) – I only wish the author had made a full-length novel out of this. The potential was there. I read this from start to finish with undiluted enjoyment. This is the year I discovered memoir and read several very good ones. What elevates Kate’s intriguing life story set in an old-style funeral home in small town Kentucky is that it has all the marks of a really good first person novel due to the quality of the writing and the richness of the storytelling, blurring the lines between real life and fiction. In some novels the narrative voices of different characters are hard to tell apart. Like Mrs Hemingway, this novel excels on individuality of voice (one of them a young child) and therefore also character. Like Zenith Hotel, it busts clichés about well-known cities (in this case Las Vegas) to show what’s underneath, and of course it isn’t pretty. This often traumatic book has important things to say about the cruelty of fate and the cost of war, but a genuine sense of hope runs through it. A lot of books touched my emotions this year but this was the only one which made me cry. Sweet and heart warming – there’s hope for me yet! Read in under 24 hours. Devastating, shocking and completely fearless. My book group are about to read MY BRILLIANT FRIEND – will they get ‘Ferrante fever’? I already have! Disturbing and heartrending but curiously uplifting. Nordic noir meets magic realism. Spiky but endearing teenage protagonist. How did I miss this for so long? The highlight of my writing year was meeting Pat Barker who judged the Room to Write competition in which I was shortlisted. With some of the most outstanding dialogue and characterisation I’ve ever read, this novel affected me deeply. This has been the year of #readwomen2014 initiated by Joanna Walsh after yet more proof emerged of the bias against books written by women. Before I became active on social media I had no idea of the extent to which women writers are patronised, dismissed and overlooked – it infuriates and baffles me equally. Anything that counters this is a good thing and that’s one of the reasons I joined the WoMentoring Project. The Reading Women campaign has made many people examine their reading habits this year. There was recently a large Goodreads survey which revealed (although I don’t suppose anyone was terribly surprised) that both male and female readers tend to prefer books by authors of their own gender. Now I actively like books by men but it’s true that I consistently read more by women and feature them more often on the blog. That’s not a conscious decision – I select and read books entirely on their appeal and merits as I see them, both on literary grounds and because that’s what equality means to me. Nonetheless I thought it would be interesting to analyse the balance of female to male authored books I’ve read in 2014 and it turns out it is exactly the same as last year – 62% female, 38% male! On my Hot Picks 2015, the balance happens to be 50/50. Come back on Friday 12th to find out what they are – there really are some outstanding books coming your way in 2015. Agree with Station 11 and Mrs Hemingway both of which I thought were amazing . 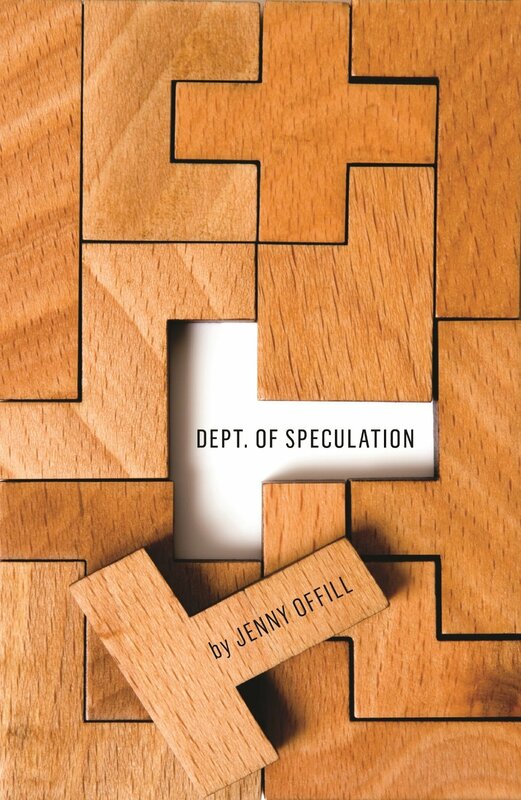 I know lots of people are picking Dept of Speculation as one of their top reads of the year but I’m afraid I didn’t ‘get’ it at all ….found it a little underwhelming . I think you will enjoy My Brilliant Friend ! Great list! I’ve got a draft blog post on my 2014 and picked The Shock of the Fall by Nathan Filer as my top book of the year and highlighted a few others worth a read. Ooh, really look forward to your end of year post, Helen! Read Shock of the Fall too and found it very powerful and moving – and one of those that totally doesn’t lend itself to a neat ending! Nice post, Isabel. 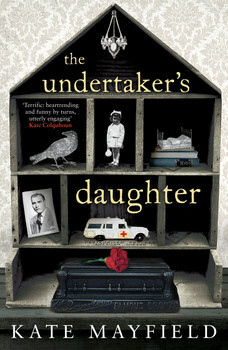 Fancying The Undertaker’s Daughter for a read in the new year. Thanks for the recommendations. Thanks, Jacqueline. That is SUCH a good book – bet you’ll love it! You’re great at bringing books to our attention that we otherwise wouldn’t know about. Thanks for bringing them to us. Loved Mrs Hemingway. Beautifully written. I suspect the others are too but I’ve too many unread books already! Great recommendations thank you! I loved We are called to rise – it’s made my list of must reads for 2014 too. I’ve jotted down some these and put them on my list. Thank you! 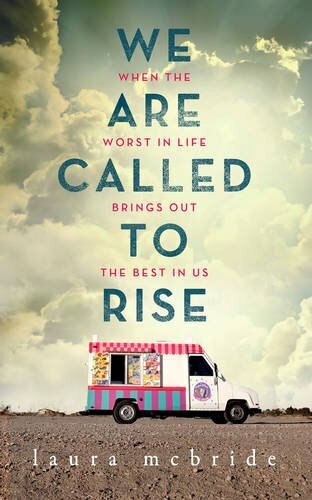 Despite being the Radio 2 Book Club Choice, I don’t think We are called to Rise got the attention it deserves (compared to some other books) – I haven’t heard many people discussing it. Great to hear from another fan. I must confess to not having read any of your contemporary picks! Which is the one I really, really should read? Like you I did read Regeneration this year for the first time, and wow, wow, wow, totally agree, an outstanding novel. I had the others in the trilogy for my birthday and really looking forward to reading those too. 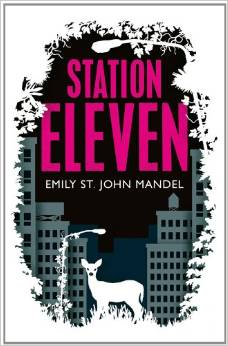 Hi Louise – I suppose I’d have to say my book of the year, Station Eleven! From what I know of your taste, I do think you’d enjoy it. I lent my copy to a friend who tends to like similar books to me – she loved it so much she’s buying multiple copies to give as Christmas gifts. Yes, I’m going to read the rest of the Regeneration trilogy too. Amazing. I keep hearing about Ferrante, so downloaded a sample on Amazon to see what all the fuss was about (yet to read it!) Ditto Dept Of Speculation. I’ve got Mrs Hemingway, which I’m going to read very shortly. Look forward to your Hot Picks for 2015.